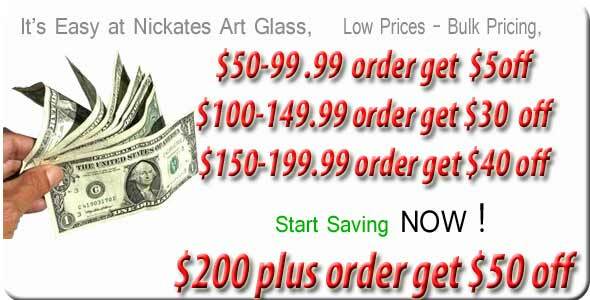 English muffle reproduction stained glass distributed Nickates Stained Glass Supplies Inc. 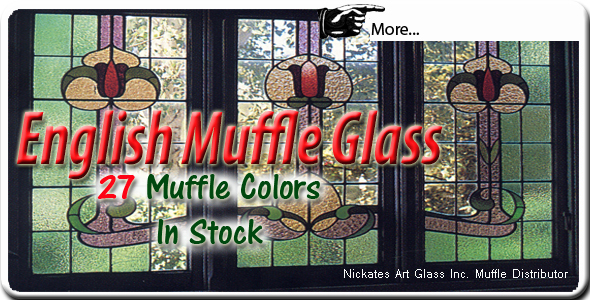 Always purchase enough muffle glass at the beginning of your stained glass project to complete it! Muffle Glass colors, like dye lots of fabric, can change from one shipment to the next, and you may not find exactly the same color match if you need more muffle glass. In addition, glass manufacturers produce some colors as seldom as once a year. The colors displayed here can only be an approximation of the actual glass color. Please send a small sample if you are looking for an exact color match. Muffle glass was popular in Europe back in the 1800's. In recent times there has been a demand for restoration of old windows and the re-manufacturing of this beautiful glass. We distribute and stock 90 percent of the colors that are being reproduced. Special note: The Cranberry Pink is very rare the manufacture only makes a limited amount of this gold content color and distributors are unable to order more until the next batch which can take a year.